The spirit of adventure isn’t just alive. It’s built into every single component of the new XCx. 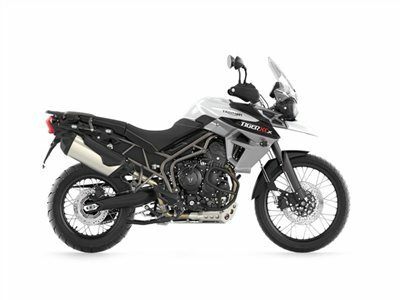 Fully equipped for long adventures with technology that adds improved handling and opens up whole new horizons, this is the Tiger taken to a different level. Selecting between three different riding modes, Road, Off-road and programmable Rider Mode, you can configure your preferred throttle map, ABS and Triumph Traction Control, for a completely tailored and thrilling adventure ride. The dedicated trip computer and the cruise control enable you to amass miles with complete confidence. The off-road soul of the bike is emphasized by the adventure pack including hand guards, aluminum sump guard, center stand, additional power socket and engine protection bars.